In a laneway in the centre of Melbourne, just off Collins Street, there is a little shop of dreams, called Design A Space. 5 years ago Vicki Leigh started a handmade jewellery label, along with other aspiring designers and makers and DesignASpace provided an opportunity to test new designs and products in a retail store environment. The theme of this year’s Craft Cubed Festival is a sense of ‘place, identity and home‘. My Dreamcatcher installation and it’s chosen location address an artistic need to create and explore from a place of security and DesignASpace have been that constant for me as an experimental designer. CENTRE. MY DREAMS. MY CRAFT. *In feng-shui mirrors reflect energy in the form of light, multiplying it. Multiplying the beautiful objects in their centre and the people passing by. They represent the wider community, the people who support our art, are inspired by it, and who purchase it as a token of love, encouragement and belief in our work and what we are doing. Without them, we wouldn’t be able to keep making art/fashion/design. designs available to purchase in-store or on-line. 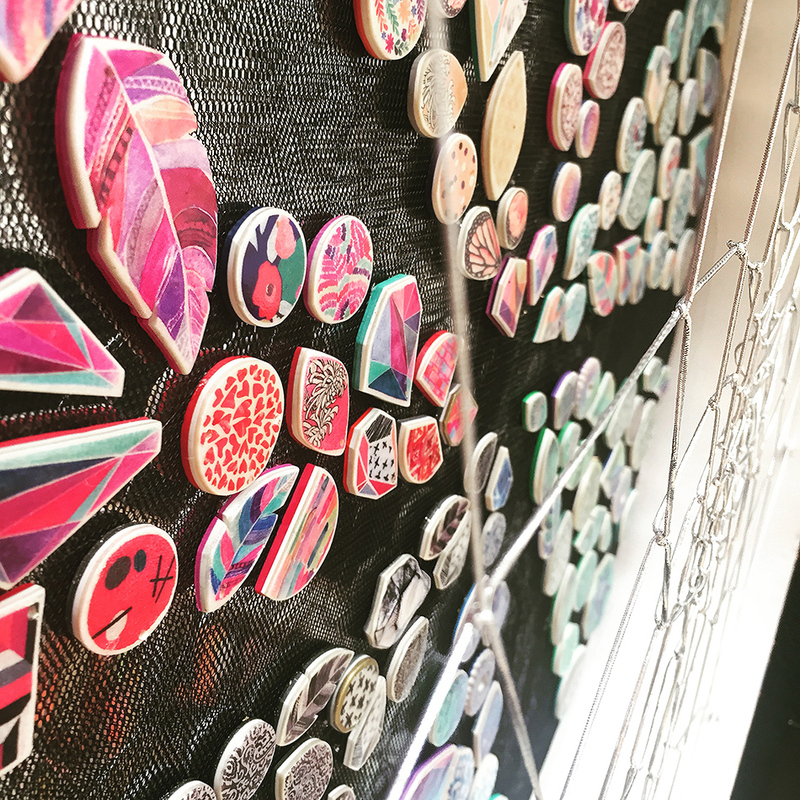 Now in its ninth year, the 2018 festival presents creative, experimental and ideas-based craft and design projects under the banner of the Craft Cubed Festival. This year the theme for the Craft Cubed Festival is Homing Craft and will aim to showcase makers’ sense of place, identity and home through a multi-layered, open access festival.